Gordon Watson was born in Wolsingham on 1st March 1914. He played football for Blythe Spartans before joining Everton in January 1933. Jones made his debut in January 1937. The team at that time included Tommy Lawton, Dixie Dean, Alex Stevenson, Wally Boyes, Ted Sager and Joe Mercer. 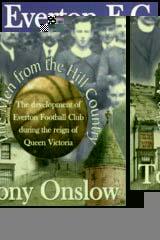 In the 1938-39 season Everton won the First Division league title, by beating Wolverhampton Wanderers by four points. Tommy Lawton was the club's top marksmen with 34 goals in 38 games. The outbreak of the Second World War brought a halt to the Football League. 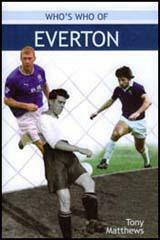 However, during the war, Watson played in over 200 friendly games for Everton. Watson was forced into retirement after getting injured in a game against Burnley in October 1948. He had scored one goal in 68 appearances Everton. Watson remained at the club and worked as a barman, steward and stadium guide. Gordon Watson died in 2001.